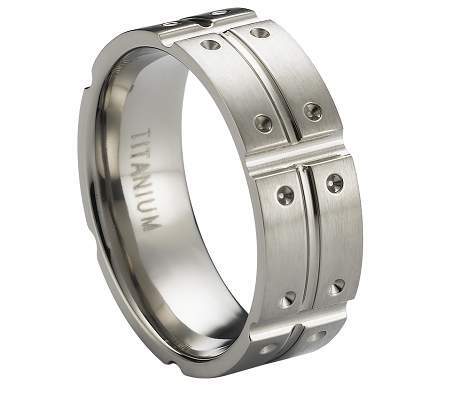 Intricately carved grooves intersect to create polished notches around this satin-finished titanium band. 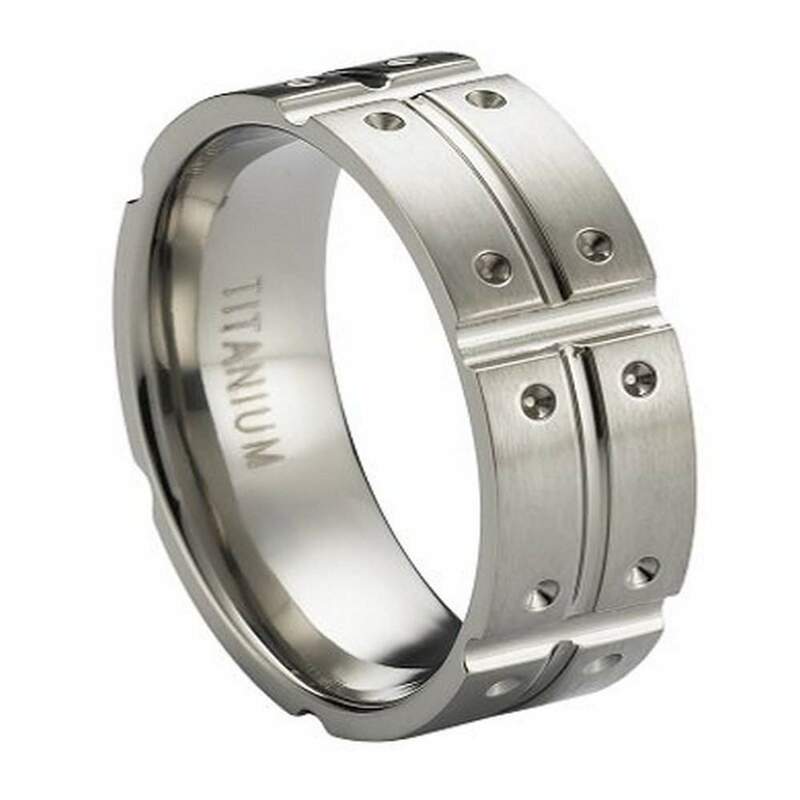 One of our dressiest titanium rings for men, multiple polished circles encircle the 8mm band. A creative design for the modern man! Very happy with the ring. Very nice looking. Quick shipping and great prices! I would definitely recommend this to anyone. This was the 3rd ring I've ordered from this site! Extremely happy with the ring!! Prices, quality, quick shipping times etc. - all excellent! This will not be my last purchase! 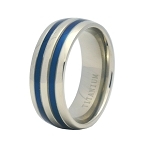 I ordered this ring for myself after learning about this website from a friend. I initally ordered the wrong size and thought it would be a hassel to exchange the ring for the correct size. To my amazement, the exchange was not only quick, but the customer service was impeccable!!! 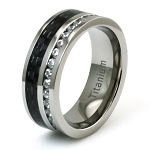 This ring is absolutely amazing. I've received so many compliments already!! !